Reading time: about 5 minutes. The new-for-2019 Norton Atlas Ranger is the latest addition to the line-up from the storied British motorcycle manufacturer that was rescued by Stuart Garner in 2008, and has gone from strength to strength since. 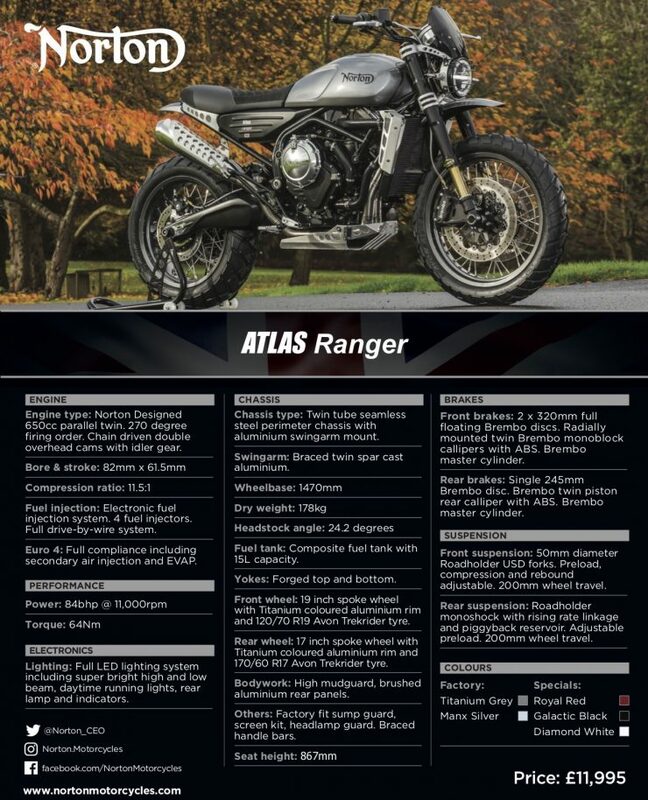 To cut to the chase for those of you who don’t have time for a full read – the Norton Atlas Ranger is lighter, more powerful, and (likely) faster on and off-road than any scrambler built today in the under 1-liter category by the major manufacturers. 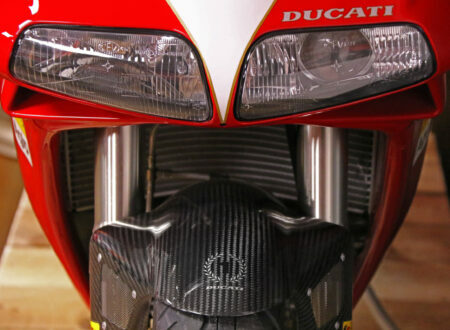 Only 250 of them will be made, and the MSRP is a rather reasonable £11,995. 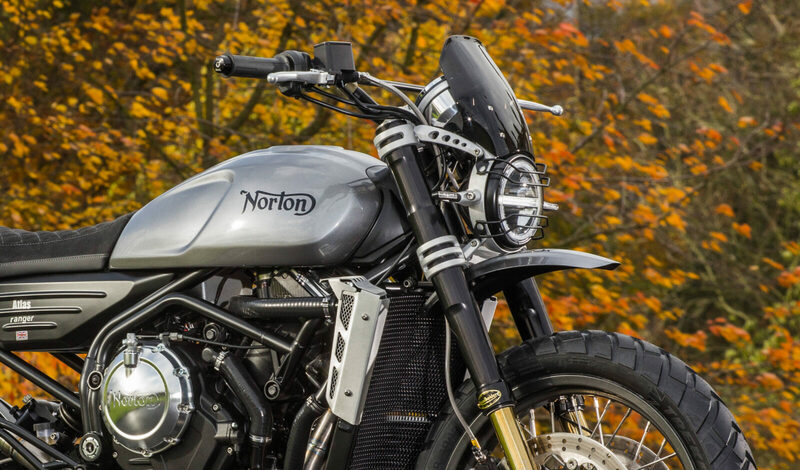 The Norton Atlas Ranger is named after two of the marque’s most famous motorcycles – the Norton Atlas and the Norton Ranger. 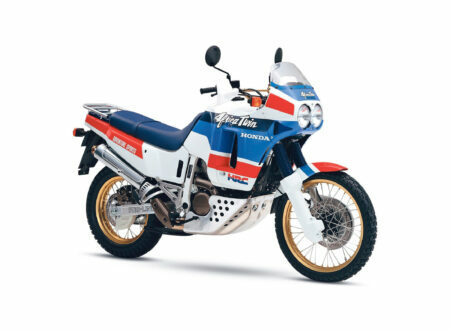 The Atlas was a mighty 750cc parallel twin fitted to the iconic Featherbed frame, and the Ranger was the factory desert sled built for off-road racing in California against the likes of the Triumph TR6C. 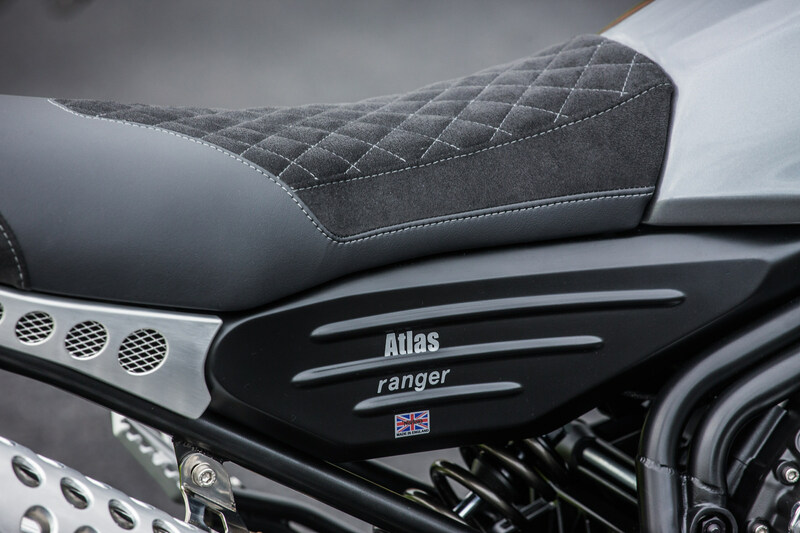 The all-new Atlas Ranger is fitted with a 650cc DOHC parallel twin capable of 84 bhp and 64 Nm of torque (47 ft lbs). 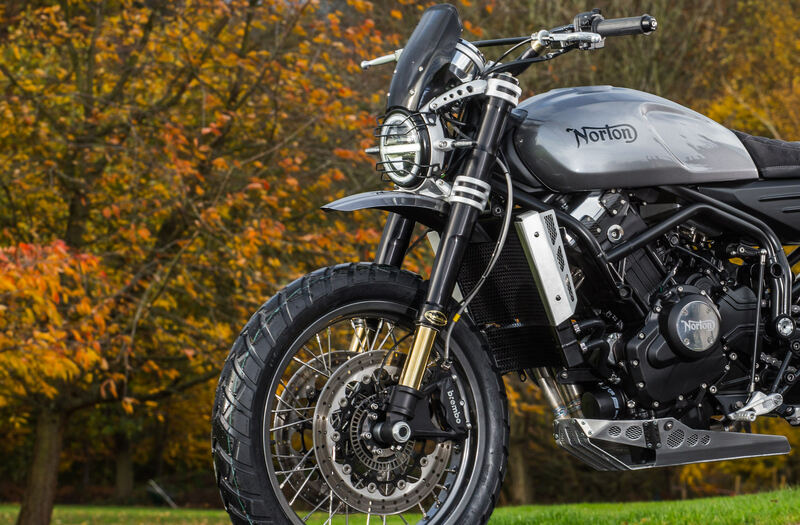 The engineers at Norton wanted to ensure that the new bike was a genuinely capable dual sport motorcycle – not a skinny-jeans-scrambler designed for asphalt and the occasional Instagram photoshoot on light gravel. 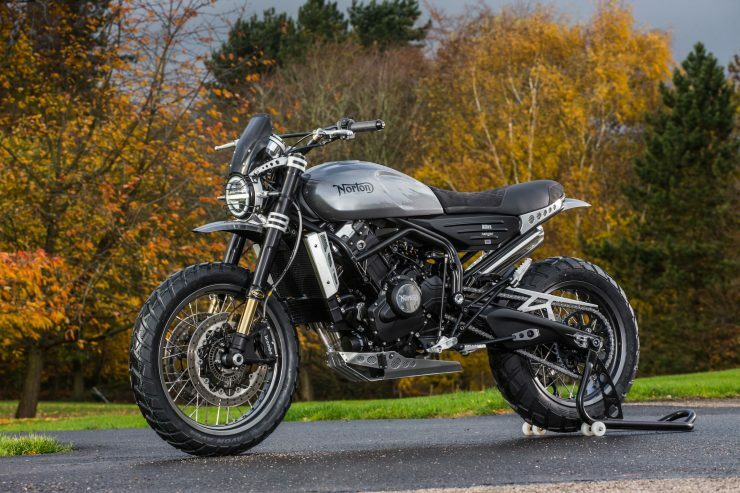 Of course, no one outside of the Norton R&D department has ridden the Atlas Ranger yet, but a close look at the spec sheet left me with the impression that it’s going to potentially unseat the previous king of the classically-styled modern scramblers – the Ducati Scrambler Desert Sled. 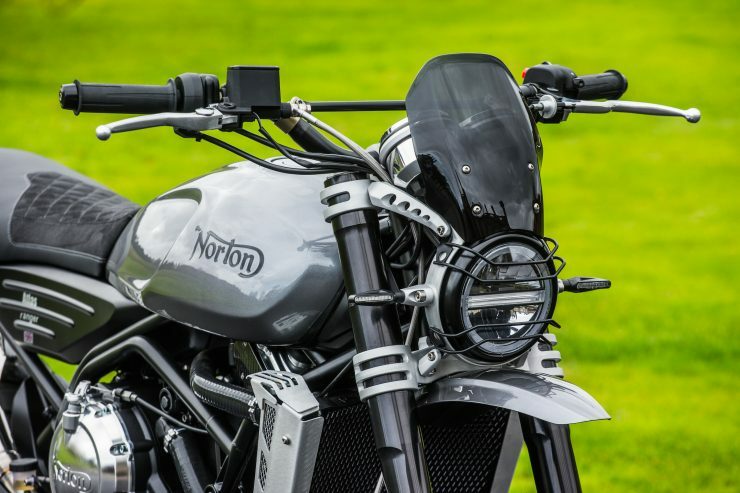 The parallel twin fitted to the Norton Atlas Ranger is essentially half of the new Norton V4 – an engine designed to take on the best in the world at the Isle of Man TT and win. 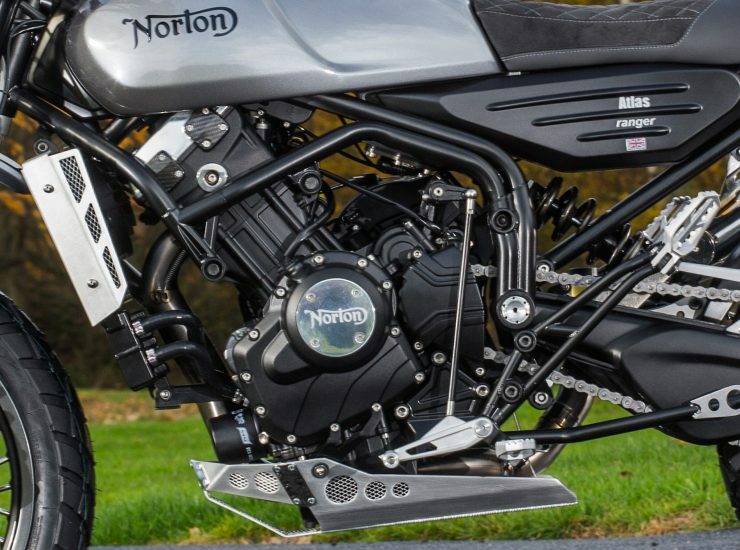 In parallel twin form this new Norton engine was developed to be bulletproof from a reliability standpoint, while still offering 84 bhp at 11,000 rpm. 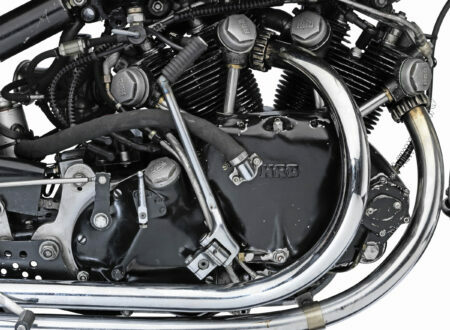 The liquid-cooled, all-alloy engine has chain driven double overhead cams, a bore x stroke of 82mm x 61.5 mm, a compression ratio of 11.5:1, and a 270 degree firing order. In order to pass modern emissions standards (Euro 4), the engine has twin electronic fuel injectors per cylinder, a full drive-by-wire system, secondary air injection, and EVAP. 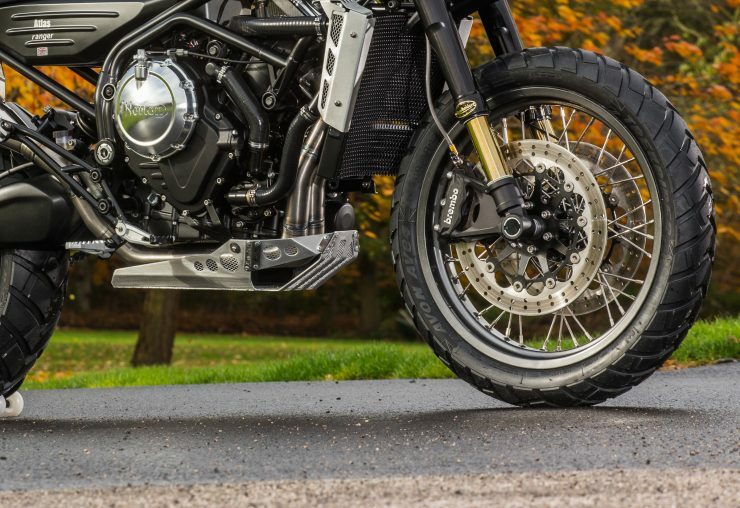 The bike comes with a 6-speed transmission developed specifically for dual sport use, and power is sent to the rear wheel via a traditional chain drive. In order to maximize ground clearance the engine makes full use of the forward tilted cylinders to keep the sump up away from the ground. 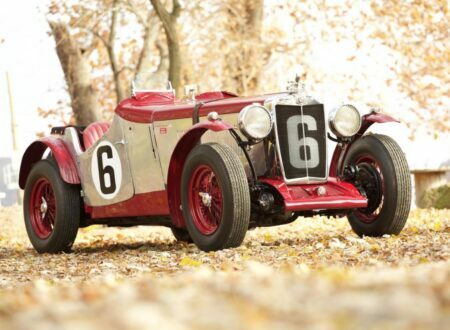 The engine acts as a stressed-member within a lightweight chassis, and the intake is up high under the fuel tank to maximize fording clearance. 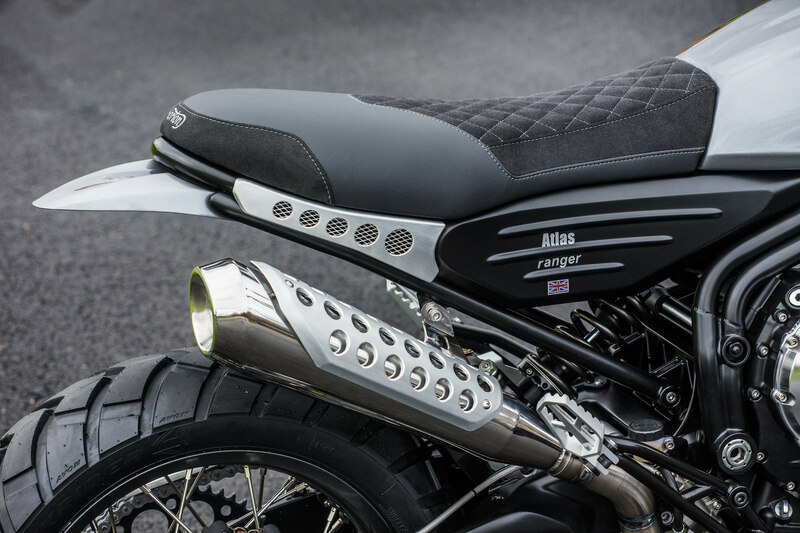 The exhaust is a 2-into-1 system with a high-exit silencer, again to help with river crossings, and there’s an aluminum bash plate to protect both the sump and the exhaust. The radiator and oil cooler are mounted in front of the engine, high enough to be out of trouble, and the oil filter is mounted just above the bash plate on the lefthand side – in an easy location to change when you’re racing in the Malle Moto Class of the Dakar. 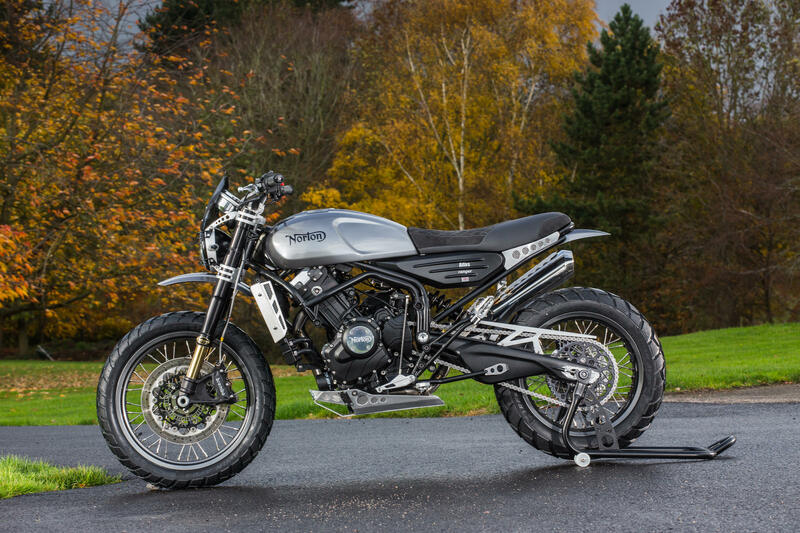 With any dual sport or scrambler motorcycle two of the most important factors are weight and handling. Norton engineers were keenly focussed on kerb weight and suspension, the result is the lightest motorcycle currently offered by Norton, with a dry weight of just 178 kilograms (392 lbs). 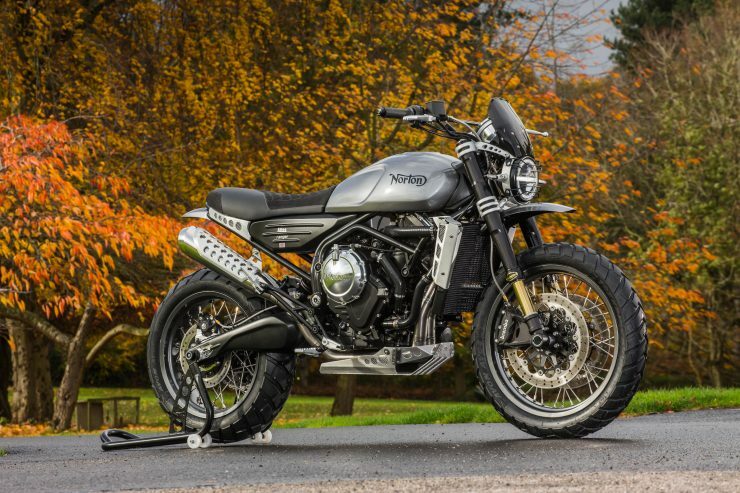 That’s 12 kilograms lighter than the Ducati Scrambler Desert Sled and 19 kilograms lighter than the Triumph Street Scrambler. Made all the more remarkable by the fact that the Norton produces 9 bhp more than the Ducati and 20 bhp more than the Triumph. The Atlas Ranger has a twin tube seamless EN 10305 CDS5 steel perimeter chassis with a load-bearing engine. 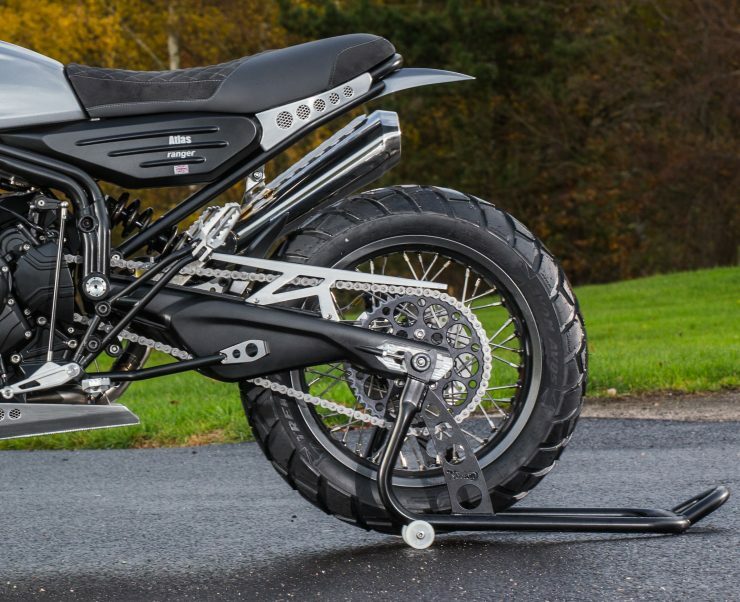 The swingarm is a braced twin spar cast aluminum unit and the rear suspension is a Roadholder monoshock with rising rate linkage, a piggyback reservoir, and adjustable preload, offering 200mm of rear wheel travel. Front suspension is a set of 50mm Roadholder inverted forks that are preload, compression, and rebound adjustable. 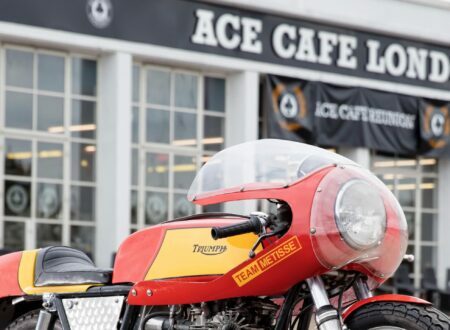 They offer 200mm of front wheel travel, and they carry the iconic Roadholder badge – a sight that’ll be familiar to any current or previous Norton owner. 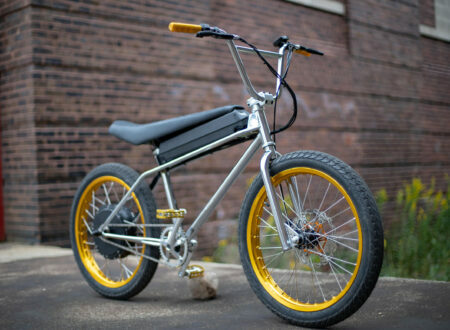 A 19″ spoked wheel is mounted up front with a 120/70 R19 Avon Trekrider tire, and there’s a 17″ spoked wheel with a matching 170/60 R17 Avon Trekrider tire in the rear. Braking is handled by Brembo front and back – there are twin 320mm full-floating Brembo discs up front with radially mounted twin Brembo monoblock calipers with ABS and a Brembo master cylinder. In the rear there’s a single 245mm Brembo disc with a Brembo twin piston rear caliper with ABS and a Brembo master cylinder. Norton history stretches back across three centuries to 1898 when the company was founded by James Norton to manufacture fittings and parts for the two-wheel trade, before manufacturing their own motorcycles from 1902 onwards. 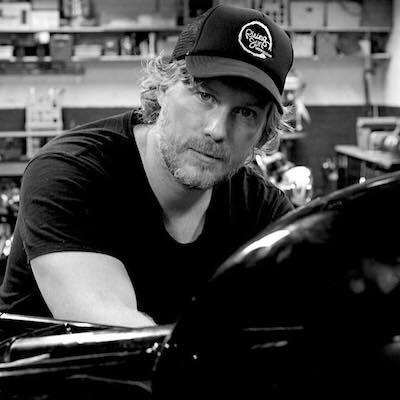 It’s unlikely that the founder would have ever envisaged his company lasting well into the 21st century, and it would have been impossible for him to ever know that motorcycles like the one pictured here would ever exist, let alone have his name on the side of the tank. I think it’s relatively safe to say that Norton currently has the best looking motorcycle line-up of any company in the world, and with this new Atlas Ranger scrambler that’s affordable to the masses, the future for the company looks bright indeed. If you’d like to read more about the Norton Atlas Ranger or put down a £500 deposit for one, you can click here to visit Norton Motorcycles.